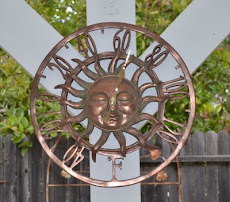 Shiny Moon Beams Blog: Fall Suncatchers and Jewelry From Krystal Kat's! 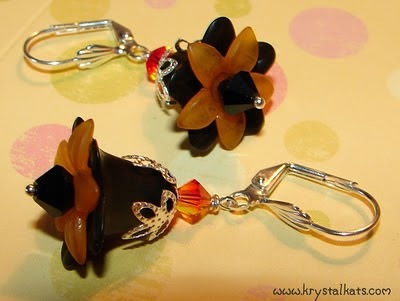 Fall Suncatchers and Jewelry From Krystal Kat's! Do you have your pumpkins yet? 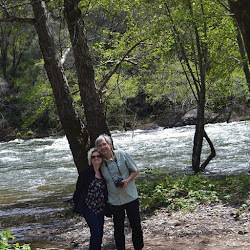 I know it's hot in California still, but soon it will be chilly and we will all be thinking of apples and pumpkins and pies & family and then the holidays! I wanted to share with you some fall things I have posted on my Krystal Kat's online shop and newly listed Lucite Flower Earrings, Pumpkin Earrings, Pinecone Earrings and other jewelry. First off I will start with my Fall suncatchers a beautiful golden leaf suncatcher in fall colors. 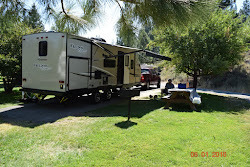 The link to more about this suncatcher is above. 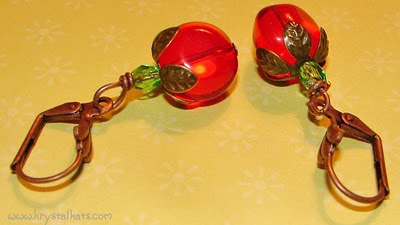 How about a beautiful fall colored cross suncatcher. A fun way to decorate for fall in your car or home either with the leaf or cross. 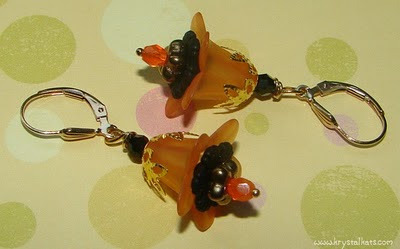 Another sweet pair of Lucite Lily earrings in Orange and Black with gold I also have it available in silver please check out my fall & Halloween earrings page. I have more earrings on my site for Fall & Halloween that are not shown here. 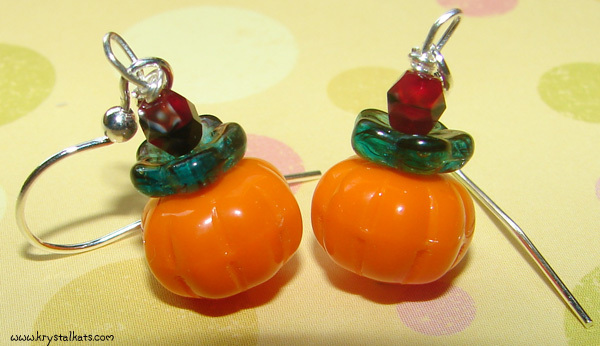 Pumpkin Glass Earrings are so cute with the leaf beadcaps. 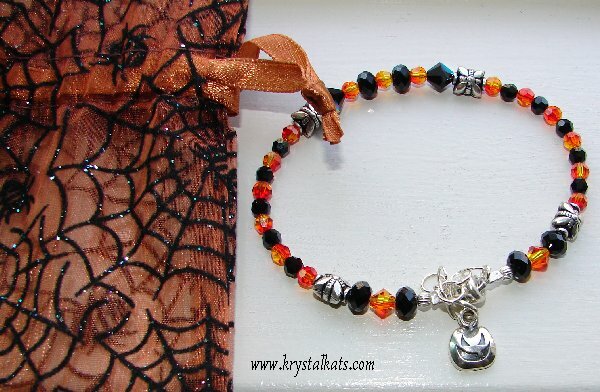 The last thing I want to post is a cute bracelet for fall made with Swarovski Crystals and a cute sterling silver pumpkin charm. 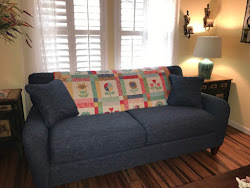 I tried to put everything into a special category at my shop called Fall and Halloween Jewelry, hopefully I got everything into there, but be sure to check in other categories as well for fall and Halloween or leaf style jewelry. This is the link above to the Fall & Halloween category. Funky Leaf Bracelets is another cateogory that you should not miss out on, not the traditional fall colors but still great fall jewelry wear for the gal who does not wear fall colors, these bracelets can also be worn in the spring or summer. 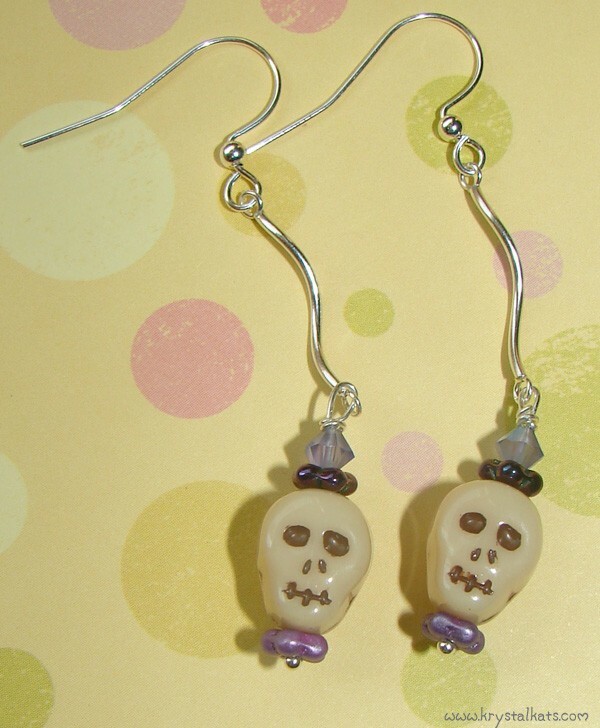 So cute skull earrings with lilac flowers and crystals, be sure to check out my black pair as well.